"Planet ANTony & Cleopatra: an Inebriated Staged Reading"
Take an inebriated journey to Rome and Egypt with one of the most powerful women in history, Cleopatra, during the month of Shakespeare's birthday! 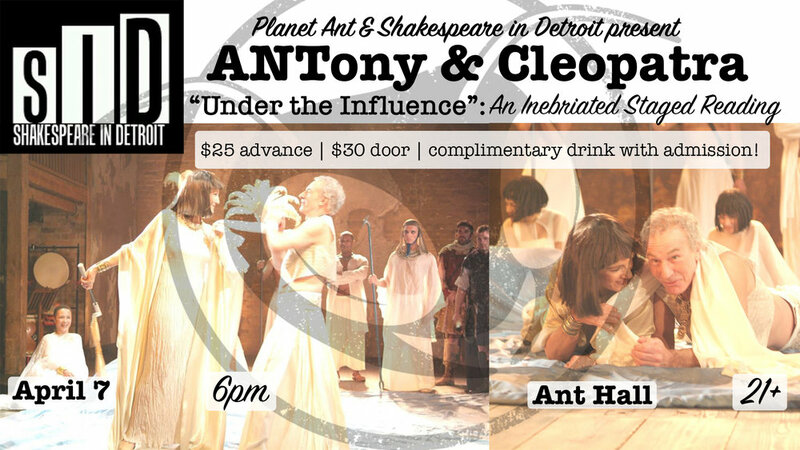 Get a complimentary beer and a glass of wine, and sip your way through this great tragedy with Shakespeare in Detroit's company of actors, presented by Planet Ant. You'll hear Antony and Cleopatra like never before! Funny Side Up: A Stand-Up Comedy Brunch w/ Lauren Uchalik!